Hence, to me, her statement implied that Imran Khan was going to be elected prime minister in the 2013 elections, but history tells us a different tale. Imran fell, and with him fell all our hopes. But come this July 26, 2018, our fervour is back in business. 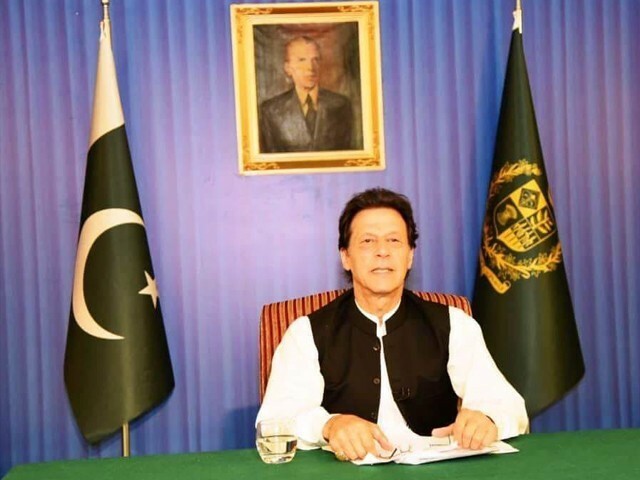 Our zeal is all the more profound after listening to Prime Minister Imran’s first address to the nation, and the nation at large, as referred to the Pakistani diaspora. He talked to us directly, and we understood everything he said. To the sceptics who have an issue with Imran, why don’t you listen to his speech? He’s talking like you and I do while sitting in our drawing rooms, he’s talking like an average Pakistani. Tell me one thing he said wrong, and I’ll tell you a thousand things he said right! And that is a powerful feeling. It’s a feeling of trust. It’s a feeling of relatability. It’s a feeling an average Pakistani understands and admires, because it’s their feeling too. He mentioned all the right issues plaguing our country like child sexual abuse, corruption, maternal health and even the stunted growth of children. Listening to him making all these promises, I thought to myself, if he’s able to deliver even one-fourth or one-third of what he’s saying, which is no less than delivering unicorns and rainbows given the time frame, it will be beyond anything I’ve ever seen in my lifetime. Imran referred to all the ills ailing my beautiful country, and said he’ll try to find a fix; he acknowledged all the menaces, and asked for my help. I understood him, as did all the others I spoke to before writing this blog. “I hope that we can contribute monetarily, or as direct investment in the new Pakistan. The new government should come up with a sensible plan with enough transparency that makes all the expatriates comfortable that the effort is not to fill the coffers of some professional politician, or his cronies. “We, the diaspora, support Imran not because he’ll fix everything in a jiffy, but because he’s the best choice at this moment in time. Lyari not voting for Pakistan Peoples Party (PPP), Karachi getting rid of Muttahida Qaumi Movement (MQM), and the emerging Jibran Nasir force are very positive changes! No popular leader is faultless; neither was Barack Obama just to give an example from recent history. Yet, a change (in spite of his faults) is better than the old corrupt order. Keep an open mind, support good effort and do our own civic duties, wherever we may live, is what is needed at this time. What surprises me is that there was no clamour for accountability for precious governments. Imran is not a saint, nor has he come from a different world, but he promises something no one has ever promised before. ‪“I am very surprised that I am writing this next line. I was impressed and moved by Imran’s speech to the nation after he was sworn in as the prime minister. There it is. I have admired Imran for his cricketing career and his philanthropy, but his politics has often confused me. However, that speech and the ideas he encapsulated, it was the first time I heard a politician speak about issues that have concerned me about Pakistan. The way he spoke was open, frank, and he used Urdu I understood. There was no air of superiority. As someone who has spent most of her life abroad, listening to the PTV news in my childhood was like listening to another language, which felt as if we were being pushed away. Hence, listening to the Urdu spoken by Imran was in itself a breath of fresh air. To all the cynics who are unwilling to give him a chance, or compare him to others in the past, it’s interesting to me how we admire heroes in history books, movies and fiction. Heroes, who are gutsy and warrior-like, but have personal failings. Heroes who shake up the corrupt status quo, but are fighting their own demons too. Heroes who are Robin Hood, they take from the corrupt and give to the weak in society. Heroes who are compassionate, and ready to face the battlefield, and the Goliath within the country, and without! We admire the kings, Akbar, Babar and Saladin. Gladiators who are ready to fight, brave-hearts who are patriots yet flawed humans. If we are ready to admire the characters we have only read about, why are we held back from supporting our real life hero, Imran. Give him a chance; we have nothing to lose and everything to gain. There are no losers this time. We are all on the same team! 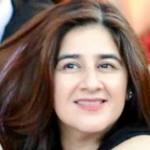 Maleeha lodhi…. For a fact. She has been no good whatsoever to Pakistan or a Pakistani. From my personal experience I can assure you she is one of a crooked , favored , influential elite. Imran Khan has twisted your logic. You make no sense. Just gibberish. the Soil thinking. Provincial, communal, ethnic, racist, full of bigotry. Persians, or Parthians or Central Asians or from Arab armies of bin Qasim. Harappa and Mohenjo Daro, that is 5000 years. You all are that ignorant. near bankruptcy. Taking loans to pay off loans. The Sharif Cabal…er…govt. took so many loans that the future generations will be paying off for decades. for 7 years. No early release for good behavior. Papua/New Guinea has a foreign minister, even Mali has one. To change things in Pakistan ain’t a piece of cake. Revolution and subsequent deaths resulted in the major change for betterment in Iran from the chains of shahs western masters. Since 1947 nobody has dared to take on ppp or pml-n and we have seen what wholly corrupt these two are. Be thankful nobody actually died in this major change! A nation that pins all hopes and unattainable expectations on one leader and government, elected or selected is up for a big disappointment. If a populist leader was all that any nation needs, are all the poor third world and Islamic countries sleeping? As sterry commented very nicely and rationally, don’t expect any substantial or even measurable improvement in various fields. Today I read somewhere that Hitler and Stalin were very honest and corruption free leaders whereas Japanese, Korean and Italians have been traditionally very corrupt, yet see what corruption free did to humanity and what corrupts did to their nations. Unfortunately, I understand the basis of this simplistic mindset, which comes from a belief of simple separation of virtues and vices with no grey area in between. You have to either like Imran and hate Nawaz or vice versa. This simplistic separation of likeness and abhorrence is not the real world. the contribution of the society is missing in this story. Which US government or President is credited for creating giants like Amazon, Apple, Google, Facebook, etc. The answer is: none. Pakistani society is at a disadvantage because it carries heavy load on its shoulders. Major contributors to this load are: about 2.5 percent population growth in the Bible Belt of Pakistan stretching all along the western borders and stretching eastward into northern Punjab, Saraiki belt and Sindh interior, very high military spending due to living as a security state, lower status of women with poor literacy levels and above all, a very passionate attachment to very demanding religion.